Kids between the ages of 8 and 18 spend 11.5 hours a day using technology — whether that’s computers, television, mobile phones, or video games – and usually more than one at a time. That’s a big chunk of their 15 or 16 waking hours. "Young people are born into technology, and they’re used to using it 24/7,” Small said. “Their brains are wired to use it elegantly." Video games, for example, aren’t just about repetitive tasks – many of them have built-in social components that allow kids to communicate. Texting isn’t about using a gadget — it’s about connecting with someone else. "Texting is an expression of what it means to be human,” Small said. “We love being connected to other people. It’s a very compelling emotional urge, and it’s hard to give up moment to moment." In a study called "Your Brain on Google," Small and his peers tested the brain activity of two groups — "Internet-naïve" (mostly 65 and older who had very little experience online) and "Internet smart"– while reading a book versus conducting a Google search. In the "Internet savvy" group, there was twice as much brain activity in all parts of the brain while they were conducting a Google search than while they were reading a book. And in the "Internet-naïve" group, after a week of Googling subjects online, there was a significant burst in frontal lobe activity, which controls short-term memory and decision-making. Small’s conclusion? "Google is making us smart,” he said. 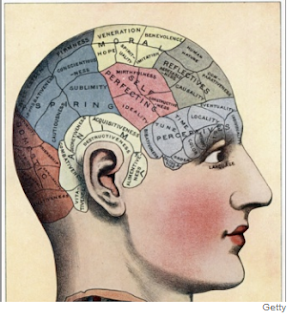 “Searching online is brain exercise." 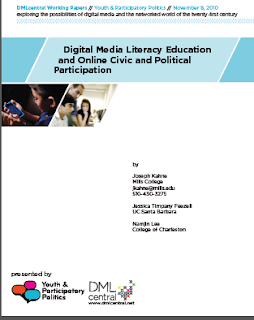 Business Wire writes, "Youth who pursue their interests on the Internet are more likely to be engaged in civic and political issues, according to a new study of student Internet usage by a group of civic learning scholars. Youth who use the Internet are also more likely to be exposed to diverse political viewpoints, the study shows." The study’s findings run counter to two commonly held assumptions: first, that the Internet makes exposure to divergent political viewpoints (the so-called “echo chamber” effect) unlikely; and second, that the Internet promotes shallow activism (so called “slacktivism”) among youth. The study results were announced today by a new research network, Youth and Participatory Politics (YPP), which plans to further examine the ways in which the Internet and digital media are impacting democratic and political engagement, particularly among youth. The formation of the YPP research network and the announcement of the study’s findings come in the wake of numerous high-profile uprisings in North Africa and the Middle East in which digital media, the Internet, and social networking appear to have played a role. Joseph Kahne, Professor of Education at Mills College, discusses the affect of digital and new media practices on political participation. Joseph Kahne from New Learning Institute on Vimeo. The study is unique, tracking hundreds of students over time and asking about online practices and civic and political engagement. Overall, more than 2,500 youth were surveyed and more than 400 youth were followed for several years. The participants came from a highly diverse set of 19 school districts throughout California. Nestled in the foothills of Oakland, California, Mills College is a nationally renowned, independent liberal arts college offering a dynamic progressive education that fosters leadership, social responsibility, and creativity in over 950 undergraduate women and more than 600 graduate women and men. The College ranks as one of the Best 373 Colleges in the country and one of the greenest colleges in the nation by The Princeton Review. U.S. News & World Report ranked Mills one of the top-tier regional universities in the country and second among colleges and universities in the West in its “Great Schools, Great Prices” category. For more information, visit http://www.mills.edu/. Cyveillance, a world leader in cyber intelligence, today announced that its “Cyber Safety 101” training module received the Platinum Award from The MarCom Awards, an international competition for marketing and communication professionals. A result of its collaboration with Mind & Media, a media strategy company with extensive e-learning experience, “Cyber Safety 101” was recognized for its ability to quickly and effectively provide the necessary information for users to safely navigate the Internet in a one-hour online training course. With the emergence of interactive online communication tools such as social networks, blogs, microblogs and more, every single employee of an organization can be targeted for cyber crime. "It’s amazing what kind of information you can glean from an employee’s participation on Facebook, for instance, or any of the more popular social networking sites," says Dr. Terry Gudaitis, Director of Cyber Intelligence, Cyveillance. "Employees, usually without meaning to, can give away sensitive corporate information to those who know what they are looking for. Just mentioning that their boss will be visiting a certain country during a certain period of time can give away valuable information about an upcoming merger or other sensitive data." Mind & Media combined their instructional design and media development expertise with Cyveillance’s deep subject matter expertise to build an online training course aimed at all levels of the organization. The interactive course also meets the requirement that the one-hour module have as much impact and effectiveness as the executive-level, instructor-led training. To see a demo of Cyveillance’s “Cyber Safety 101” training module, please visit: http://dev.mindandmedia.com/cyv/sample/player.html. Cyveillance testing finds social media sites and universities increasingly targeted by phishers in the first half of 2010. Mind & Media is a woman-owned small business in Alexandria VA, offering comprehensive media strategy and full production services to help clients solve complex communication challenges. Specializing in customized training programs, persuasive public information campaigns, and workforce recruiting and retention strategies, they help their clients convey the right messages to the right people with the right technologies. Through smart use of media and message, they are committed to making measurable change in organizations, communities, and our world. For more information, please visit http://www.mindandmedia.com/. 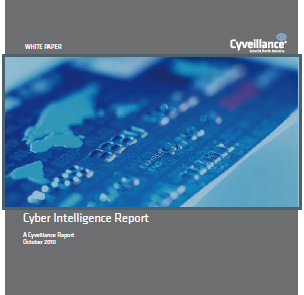 Cyveillance, a world leader in cyber intelligence, provides an intelligence-led approach to security. Through continuous, comprehensive Internet monitoring and sophisticated intelligence analysis, Cyveillance proactively identifies and eliminates threats to information, infrastructure, individuals and their interactions, enabling its customers to preserve their reputation, revenues, and customer trust. Cyveillance serves the Global 2000 and OEM Data Partners – protecting the majority of the Fortune 50, regional financial institutions nationwide, and more than 100 million global consumers through its partnerships with security and service providers that include Blue Coat, AOL and Microsoft. 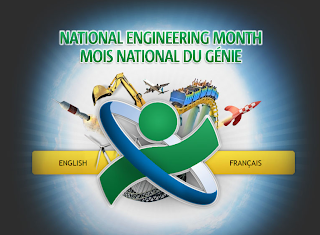 Cyveillance is a wholly owned subsidiary of QinetiQ North America. 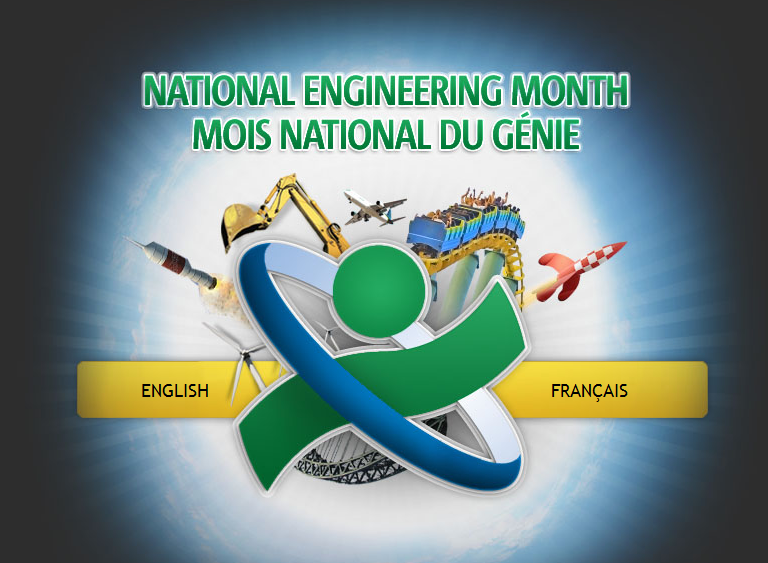 For more information, please visit www.cyveillance.com or http://www.qinetiq-na.com. The student stereotype of party goers that miss lectures will soon be banished to history, according to a survey commissioned by Blackboard Inc. (Nasdaq: BBBB). The survey reveals the new reality of studying in the UK; relying on online learning technology to fit study around paid work and other commitments. The survey provides insight into student coping mechanisms and how innovations in education are impacting the way they study. A majority of students say they use their online learning environment to keep up at a time convenient for them, and 40 percent regularly rely on them to complete academic work well into the evening or over the weekend. The responses demonstrate how 24/7 access to learning materials has become vital for today’s generation of students. Are U.K. Institutions Missing a Trick with Mobile Phones? Today’s students expect to be connected on the move with use of their mobile devices for a whole range of day-to-day activities, such as communicating with friends, tutors and colleagues, ordering course books and checking train or bus times to and from campus. Yet respondents to the survey indicate that only 14 percent of FE and HE students are provided with this type of information through an online learning environment customised for a mobile phone. As fees rise and students work long hours to support themselves, mobile learning facilities are likely to become an increasingly important factor when considering at which institution to study. As for using mobile technologies to keep students informed, the majority of students surveyed would like to receive updates from their institution via text or voice message, yet just 8 percent currently do so. Again, as students become increasingly mobile, it is likely institutions will have to adapt to accommodate this demand. The survey was carried out online and elicited 505 responses. The results are summarised in a free report available online at http://bb.blackboard.com/studentexperience2010. 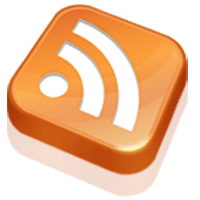 This Webinar will take place on Thursday, February 24th, 2011, 4 p.m. ET. Too often, math word problems are presented in ways that fail to reflect the real world. Rather than asking a simple question—for instance, how long a trip will take—and encouraging self-discovery, teachers and textbooks tend to lay out all the variables and prescribe each step for finding a solution. This process can overwhelm and, ultimately, alienate math students, who struggle to connect the material to the world around them. In this webinar, math teacher and ed-tech expert Dan Meyer will demonstrate how educators can do away with "pseudocontext" and "pseudo-problem solving" by implementing a multimedia-based math curriculum. He'll show how to use pictures, videos, and websites to bring classroom math problems to life. Politien.dk skriver, "Gasværksvejens Skole på Vesterbro i København er en af de cirka 300 folkeskoler i landet, der indtil videre benytter sig af matematikportalen skolemat.dk, hvor eleverne fra 4. til 9. klasse og deres lærere kan downloade matematikopgaver til deres mobiltelefoner." 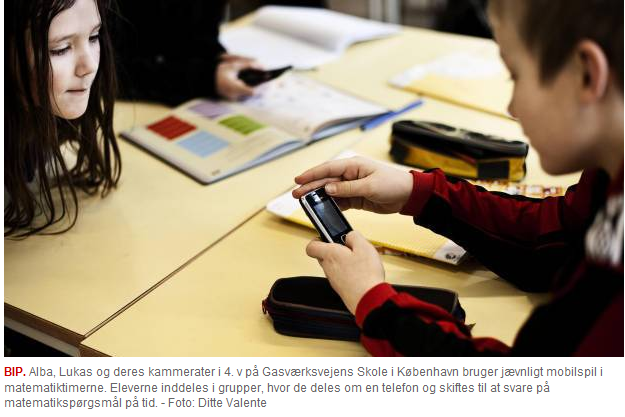 Tanken bag er, at mobilerne efterhånden er de kraftigste computere på skolen. I stedet for at læreren skal booke computerlokaler og kæmpe med teknik, lokaleskift og programinstallation, kan eleverne løse dagens matematikopgaver på deres mobiltelefoner gratis, hvis skolen tegner abonnement på spillene. I en af grupperne i 4. v sidder Alba, Misha, Lukas og Oscar og skiftes til at løse en opgave på en mobiltelefon, der går på tur. De har hver 30 sekunder til at regne rigtigt, inden telefonen overdrages til sidemanden. "Det er anderledes end almindelig matematik, fordi man får lov til at bruge mobilen. Det er sjovere, men det er også lidt svært", siger Misha, mens glædesudbruddene lyder rundt om i lokalet, når der bliver svaret rigtigt. "Vi bruger dem i matematik cirka en gang om ugen, men jeg bruger også spillet i fritiden", siger Lukas, der sidder skråt overfor. Professor Niels Egelund ved Danmarks Pædagogiske Universitetsskole ser mobiltelefonen som fremtidens computer. "Ungernes fascination af mobilerne er fantastisk, og det, at eleverne kan arbejde sammen om opgaverne, styrker det sociale samvær". Mobile devices are increasingly prevalent, and more and more workers are mobile. The opportunity to capitalize on this trend for organizational learning and performance is upon us. However, to take advantage of mobile, you need a new mindset. Are you ready? Join us for this lively and thought-provoking Training Industry Webinar, held on the Adobe Connect platform. 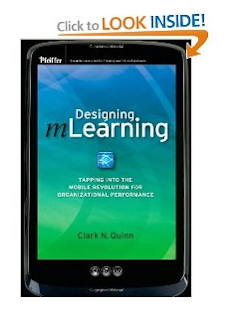 Clark Quinn, author of the forthcoming book "Designing mLearning: Tapping into the Mobile Revolution for Organizational Performance," will present the models and concepts you need to mobile-enable your employees. We will look at a variety of frameworks that provide the grounding for mobile services, applications and solutions and we’ll arm you with information to make the most of m-learning opportunities. The book presents principles for designing and implementing mobile learning solutions. Based upon previous mobile writing and thinking, this invaluable resource captures the resulting integrated approach and provides guidance for mobile learning regardless of device. Mobile is a powerful new tool for supporting organizational performance, including a wide-variety of learning opportunities including innovation, collaboration, research, and design. Mobile generates new products, services, and helps solve problems. Whether providing needed tools, augmenting learning, or connecting individuals, mobile devices are empowering individuals and organizations. Designing mLearning is a hands-on resource that presents step-by-step guidance for designing, delivering, and deploying mobile solutions, covering both the background model and pragmatic considerations for successfully navigating mobile projects. The book takes an integrated approach to mobile learning regardless of the device used. Written by Dr. Clark Quinn, a noted leader in the mLearning revolution, Designing mLearning debunks commonly held myths about mLearning, defines the myriad opportunities for mobile, contains real-world, illustrative examples, includes implementation concerns, and places mobile learning in an overall strategic plan. Designing mLearning is written for instructional designers, developers, media experts, managers, and anyone with responsibility for supporting performance in organizations. While the focus is on the design of solutions, the book addresses the critical organizational issues to assist the larger agenda of mobilizing the organization. The information outlined in this groundbreaking guide can be applied across the mobile device spectrum and provides a systematic and integrated suite of conceptual frameworks to guide designers to pragmatic and effective solutions. 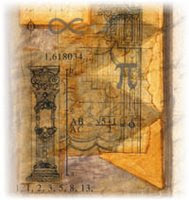 Clark Quinn’s book has a website at http://www.designingmlearning.com, where you can download the first chapter. 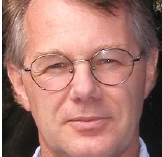 He is the author of Engaging Learning, Designing e–Learning Simulation Games. 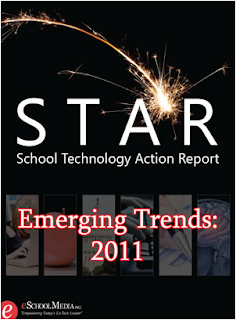 Take a closer look at this edition of STAR (the School Technology Action Report), "Emerging Trends: 2011,"
Stay on top of the key developments affecting education technology. Become a star in your classroom, school, district, college, or university with the STAR series--carefully selected reports composed of current news and must-have information on ed-tech's most important topics, prepared by the editors of eSchool News, eCampus News, and eClassroom News. 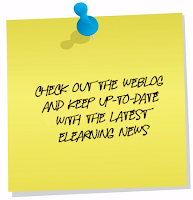 STAR, School Technology Action Report, is a roundup of current news and information on a specific topic provided by the resources of eSchool Media, Inc., the Department of Education (DOE), and industry surveys and reports. eSchool Media, Inc. is a news and information organization delivering print, web, eMail, and video communications to nearly one million K-20 decision makers throughout North America and around the world. Its information networks provide education-technology content and services for leaders in schools and colleges and help educators successfully use technology and the internet to transform education and achieve their educational goals. teachers and other classroom practitioners. Aneesh writes, "Globalization has changed the paradigms of business dramatically. The organizations of today need to be more agile than ever to maintain their competitive edge in the marketplace. That involves adapting to situations and regularly updating strategies, structures and processes." The global workforce today is confronted with a demanding environment in which to perform. In such a situation, it is vital for employees to be connected to information constantly. Ironically, while employees need more time for learning in order to optimize their productivity, they actually have less time to participate in formal learning activities. A vast majority of the global workforce is very busy and has very little time to focus on learning. As a result, training drops down on the priority list and training completion rates can be low. The need of the hour is — technology that enables organizations to distribute “just-in-time” updates that are both targeted and tracked. • Just-in-time search support by letting employees search in company’s knowledge databases (wikis, blogs, forums) using their mobiles.